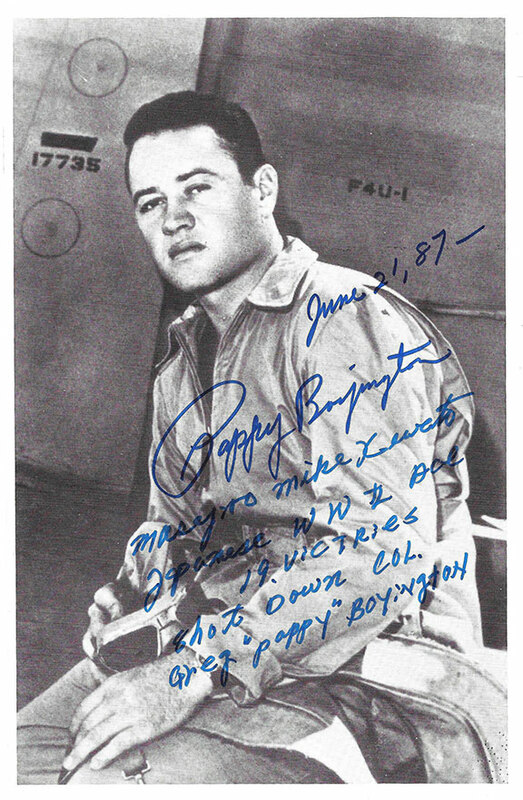 BOYINGTON, Col. Gregory “Pappy” (1912-1988). American fighter pilot during WWII. USMC, he flew with the Flying Tigers. He was the leader of the Black Sheep Squadron. An Ace he is credited with a confirmed 28ictories. He received both the Medal of Honor and the Navy Cross.